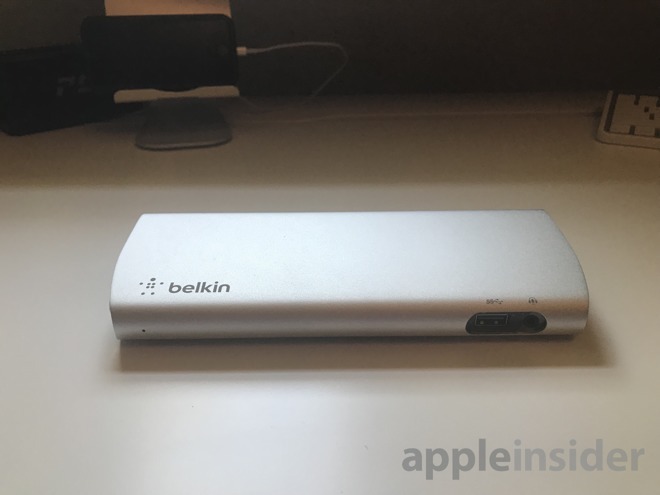 For the Thunderbolt 3 refresh, Belkin continues to use the same form-factor as it has for its Thunderbolt and Thunderbolt 2 offerings in previous years. But, the power supply is much larger than the Thunderbolt 2 version, massive like all of the other docks we've looked at —and it gets hot! Belkin provides three USB 3.0 type A ports with 1.5A of charging each, one combination audio in and out port, a dedicated audio out port, and a Gigabit Ethernet port —and that's it. As a bonus, the Belkin Thunderbolt 3 Express Dock HD has a usable cable —a full meter. The Thunderbolt 3 docks are the first ones since Thunderbolt launched to just about universally include a cable but there's a big difference between a useful length, and a useless one. For the first time, the included cable is usable, and doesn't demand an additional purchase for a functional length. Initially, we had extremely slow file transfers through the dock. Where all the other docks were handily moving data at near USB 3 saturation speeds out of the box, we were getting around 100MB/sec from the Belkin dock in macOS Sierra 10.12.4 and 10.12.5 —but 400MB/sec and faster in all of the High Sierra developer betas. Also, the down-stream Thunderbolt 3 port didn't work —until we plugged a second Thunderbolt 3 to Thunderbolt 2 adapter into it. Then, it daisy-chained drives and everything else we tried downstream with no issues. 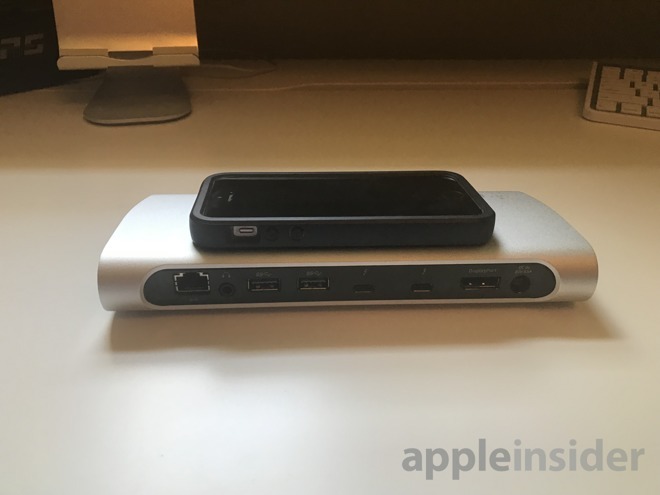 No question, the Belkin Thunderbolt 3 Express Dock HD is as promised. 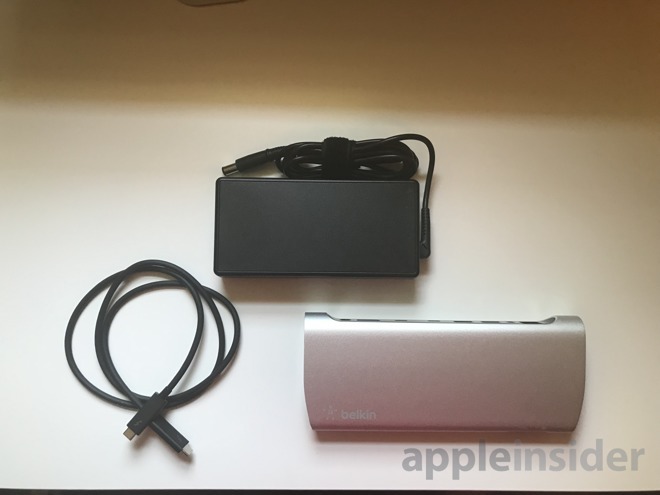 It gives users back so-called "legacy" ports, and brings something that most don't —full charging power to the 15-inch Thunderbolt 3 MacBook Pro.